Now that winter is officially here we have collaborated with Taka Turmeric to bring you a yummy Turmeric Almond Milk Latte. This blend of Organic Turmeric, Black Pepper, Cayenne, Cinnamon and Coconut warmed up with our home made Vanilla Almond Milk is the perfect winter’s day treat and a healthy replacement for a cappuccino. 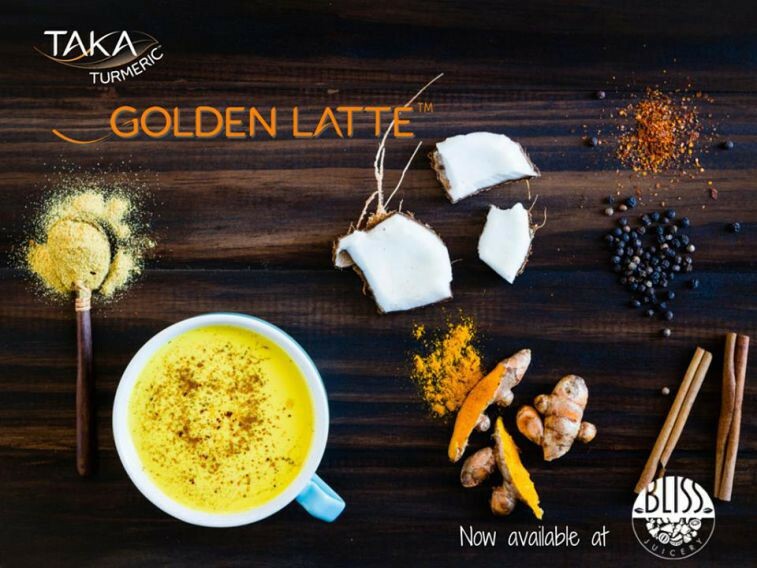 We’re also stocking Taka Turmeric’s Turmeric Golden Latte and Turmeric Golden Tea.